Hello, this is Dan Mazur writing with a heavy heart on the recent passing of Lincoln Hall, one of Australia’s most celebrated mountain climbers and a respected author of mountaineering books and articles. Mr. Hall died on 20 March 2012 at the age of 56 in the Royal Prince Alfred Hospital after suffering from mesothelioma, a type of cancer allegedly resulting from his exposure to asbestos in childhood. He is survived by his wife, Barbara, and two teenage sons, Dylan and Dorje. Our sincere condolences to his family & friends. Lincoln Hall was a great man. 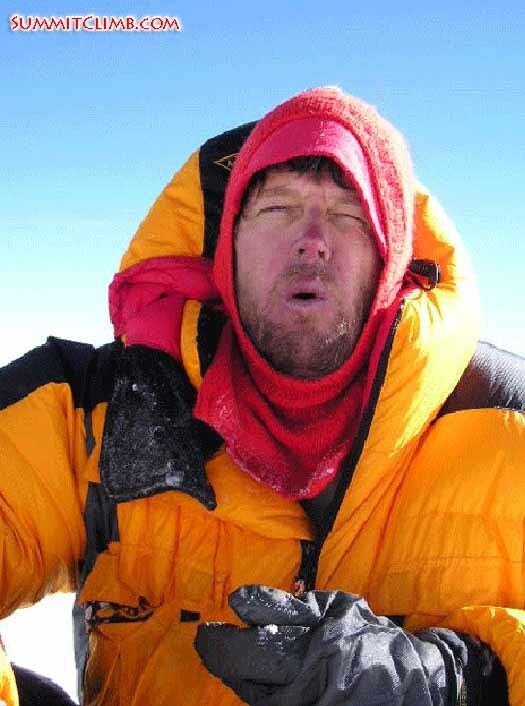 Together with Myles Osborne of Portsmouth, England, Andrew Brash of Calgary, Canada, and Jangbu Sherpa of Nepal, I was involved in the 2006 Everest rescue of Lincoln Hall from just below the summit, where he had been left for dead after suffering cerebral oedema at 8600 metres / 28,200 feet. The team and I gave up our attempt on Everest at 7am on a beautiful, sunny, clear, windless day, and we were luckily able to assist in bringing him down the mountain. During this ordeal, I was deeply moved and inspired by Mr. Hall's courage and desire to survive beyond what others had thought was a "hopeless case". 2006 was a tough year for both climbing and rescues, due to the tragedy and controversy over the 'non-rescue' of a British climber named David Sharp, best summarized by Sir Edmund Hillary in a radio clip narrated by David Wallis, from Melbourne, Australia. It may seem unfair and cruel that Lincoln Hall survived this nearly insurmountable experience on Everest only to pass away 6 years later at a relatively young age. After getting to know him and his wife Barbara, I believe Lincoln fought for every extra day possible to spend with his family and friends, which seemed to be the whole world to him. I'll be thinking of him when climbing Everest this May of 2012 and say a prayer for Lincoln when I reach 'Mushroom Rock' at 8600 metres / 28,200 feet, where we first met during his rescue. I welcome you to follow our Spring 2012 Everest Expedition at www.SummitClimbNews.com , where we have 7 Australian team members on the team. Lincoln Hall was the first Director of the Australian Himalayan Foundation, and in memoriam to Mr. Hall, I wish to build a new school in remote Nepal during June, working together with the Mount Everest Foundation for Sustainable Development on our annual www.RemoteNepalServiceTrek.org . If you or anyone you know would like to donate or become involved, please let me know. Thank you very much. 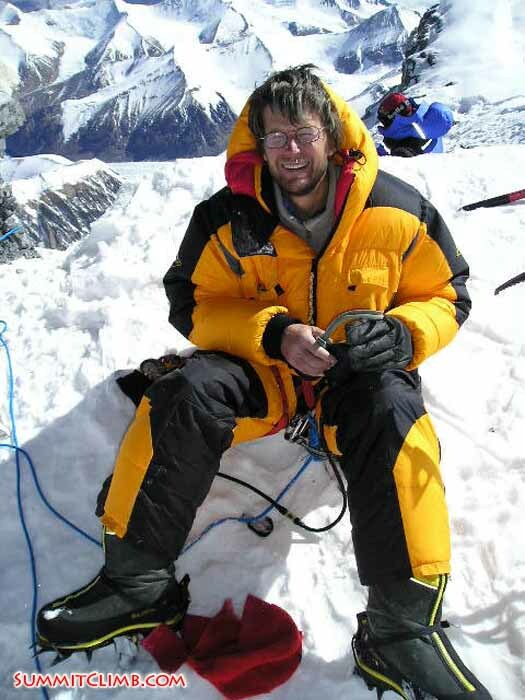 During the latter half of 2006, with his frostbitten fingers still wrapped in bandages, Lincoln Hall wrote a book called: Dead Lucky, Life After Death on Mount Everest. In the book, he credits his survival to a devotion to Tibetan Buddhism. In fact, Mr. Hall believed in the Tibetan Buddhist 8 stages of death, and that he went through two of the stages while perched overnight on Everest's summit ridge with his jacket unzipped and fingers frozen. In Tribute to Lincoln Hall's Buddhist Spirit, I wish to construct a meditation center which will welcome visitors from all over the world to Nepal's oldest Buddhist convent, and the closest to Mount Everest herself, the Deboche Nunnery, where 10 nuns pray in peaceful solitude and beauty beneath the shadow of Everest. We visit and work on this sacred temple annually during our www.EverestServiceTrek.org . If you or anyone you know would like to donate or become involved, please let me know. Thank you very much. Please read down to view more information about Mr. Hall's achievements, view video clips and read articles about his experience on Everest Tibet in 2006. 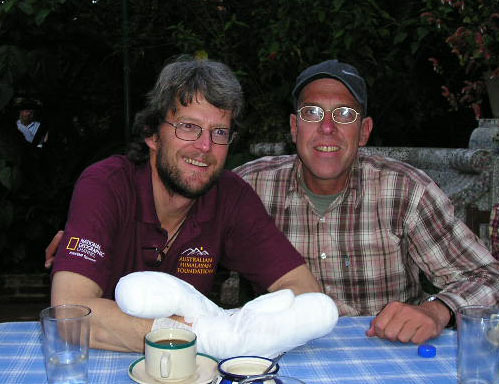 Lincoln Hall and Dan Mazur at a restaurant in Kathmandu, after the rescue. Night photo of Jangbu Sherpa on the 1st step, by Andrew Brash. Lincoln wrote the classic story, White Limbo, chronicling the first Australian ascent of Mount Everest. 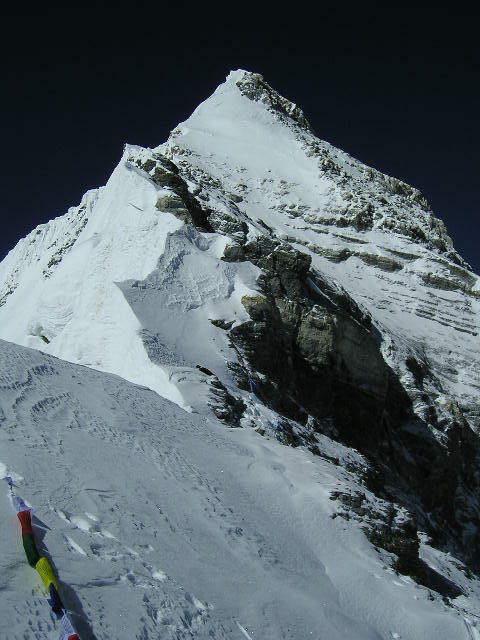 While others in the team made it to the top, Hall was forced to turn back close to the summit due to illness and frostbite. However, he reached the summit of Mount Everest from Tibet on another expedition in 2006. 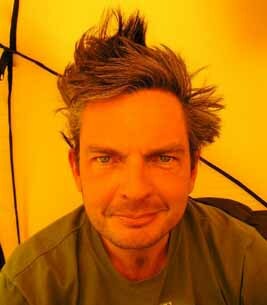 Hall was also the author of Fear No Boundary: The Road to Everest and Beyond, a biography of fellow mountaineer Sue Fear, published in 2005. An autobiography of his harrowing second and successful attempt to summit Mount Everest, Dead Lucky, was published in May 2007. 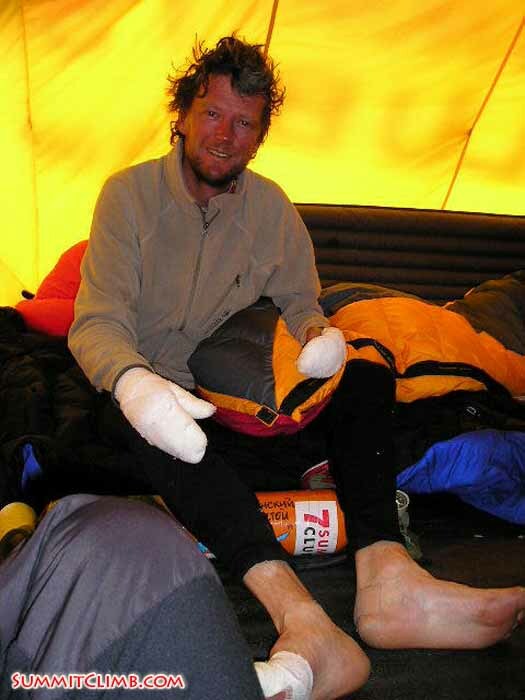 Lincoln Hall was left for dead while descending from the summit of Mount Everest on 25 May 2006, after suffering from cerebral oedema, which caused him to hallucinate and become confused. According to reports, Sherpas attempted a rescue for hours, but as night began to fall, their oxygen supplies diminished and snow blindness set in. Expedition leader Alexander Abramov ordered the sherpas to leave Hall on the mountain and return to camp after he had been pronounced dead by his rescuers. A statement was later released announcing his death to his friends and family. 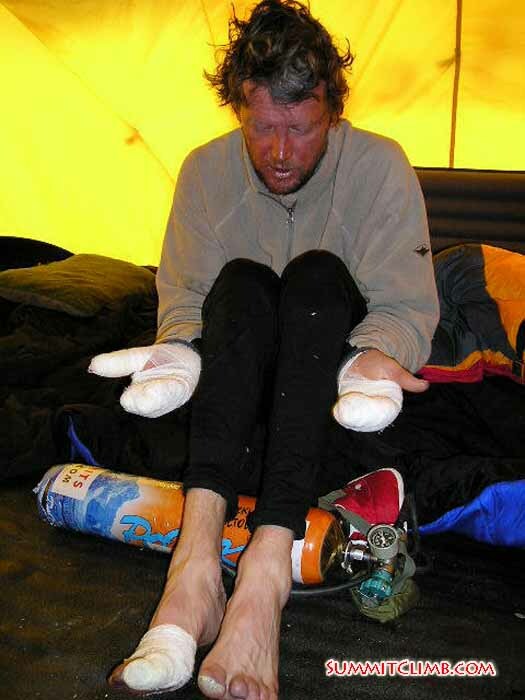 However, the next morning (12 hours later), Hall was found still alive at 8:53 a.m. by a team making a summit attempt. The team consisted of team leader Daniel Mazur (US/UK), Andrew Brash (Canada), Myles Osborne (UK) and Jangbu Sherpa (Nepal). The group found he was suffering from symptoms of cerebral oedema, frostbite and dehydration, generally incoherent in his responses to offers of help. He was alone and hallucinating; without any of the proper equipment for survival in such conditions. Apparently Mr. Hall had collapsed the previous day on his way down from the summit. A rescue effort that some mountain observers described as "unprecedented in scale" swung into action. 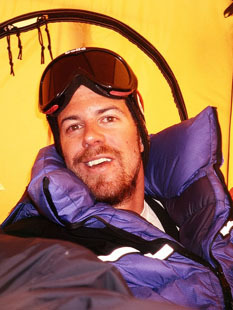 Dan Mazur and his team abandoned their summit attempt to stay with Hall, who was badly frostbitten and delusional from the effects of severe cerebral edema. The rescuers replaced the hat, jacket and gloves Mr. Hall had discarded, anchored him to the mountain, and gave him their own oxygen, food and water. They radioed Hall's team, who had given him up for dead, and convinced them he was still alive and must be saved. (Mr. Hall's team leader had called his wife the night before to tell her that Hall was dead) The rescuers arranged for Sherpas from Mr. Hall's team to ascend and help with the rescue. For four hours, Mazur's team stayed to care for Mr. Hall. The rescuers gave up their summit to save Mr. Hall. 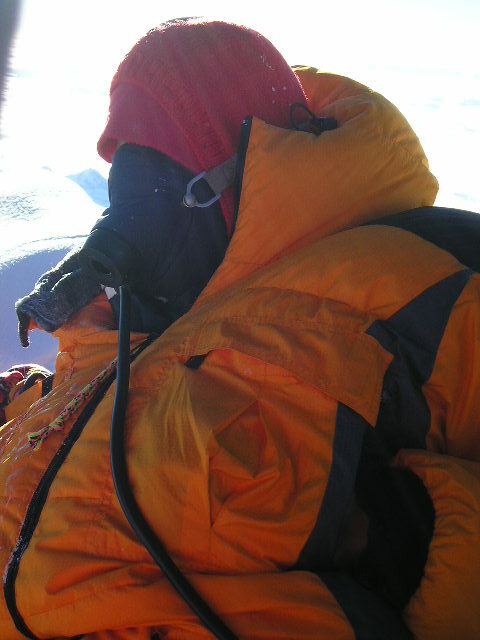 Phil Crampton coordinated the rescue from the high camp at 26,000 feet, and Kipa Sherpa was the liaison to Lincoln Hall's team at advance base camp at 21,000 feet. Extended stays at extreme altitude are risky even when planned in advance and when climbers have all the supplies they need. By using their own survival supplies to sustain Hall, they risked not having sufficient oxygen and food to support themselves on the way down, and going to the summit after so many hours spent helping Hall was out of the question. Staying there to care for Hall, they took a risk the weather would turn for the worse and inhibit their descent. 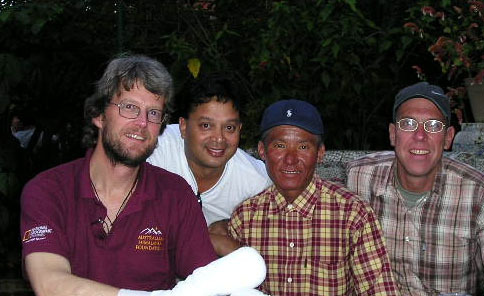 Lincoln Hall in Kathmandu after the rescue with Murari Sharma, Jangbu Sherpa, and Dan Mazur.